We Pay REAL Money, and you must deliver the goods…Salary/Cherry Pie..
Zajicek is taking applications for the upcoming season, which runs from mid-March through the first week of November. The Big Circus Sideshow plays mostly West of the Mississippi, he says. 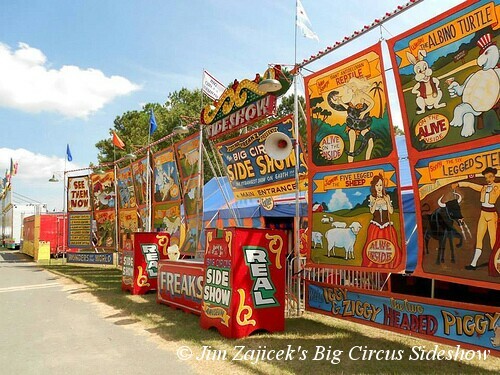 After starting in the circus business in 1979 with Franzen Bros. Circus, the showman started his own show more than a decade ago. Here’s a video by Cris Siqueira of the show’s last three spots of the 2011 season at the Heart O’ Texas Fair & Rodeo in Waco, Texas; the Washington Parish Fair in Franklinton, Louisiana; and the State Fair of Louisiana in Shreveport.